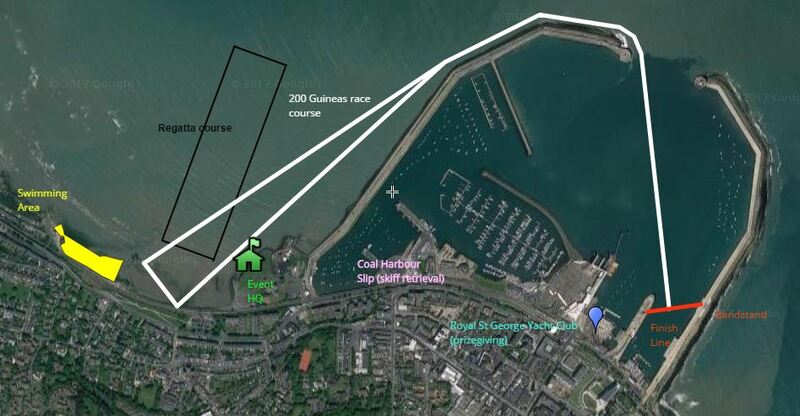 St Michaels Rowing Club and the Volvo Dun Laoghaire Regatta are proud do announce as part of the Classic Boat Programme in a special rowing race to mark the Bicentenary of the construction of the harbour. The race is seen as a fitting Finale to the weekend’s activities celebrating the 200 years of the harbour which rowing was one of the main activities both as a living with the Hobblers and racing in more recent years. The race will be immediately after the St Michaels Regatta race schedule is complete on the afternoon of Sunday 9th July. There is a ‘200 Guinea’ (€200 euro) prize for first place only, to be presented in a leather pouch. Entries are limited to ECRC clubs participating at the St. Michael’s Regatta. All crews to be comprised of 2 men and 2 women and a cox of either gender (all adult). These need not be race crews, and there are no restrictions based on the entrants’ ‘normal’ race category. Crews may be entered at the regatta draw and will be drawn from ‘lane 1’ out depending on the number of entries at the draw. During the day, clubs may add crews via the race officer at regatta HQ to a maximum of 14 crews. The race is from the launching beach at Salthill, along the west pier, through the harbour mouth, to a finish line between the Carlisle Pier and the Bandstand on the East Pier, approx. 2.6km. (see attached map). Prior to the start, participating crews are to wait with their boat in the shallows, with at least two crew members holding the boat in position with feet on the sand until the start gun. One member of each crew must await the start at an allocated flag at the beach (rear foot at flag). On the starting hooter, they may run/wade to their boat. Cox’s are encouraged to be mindful of possible fishing lines off the head of the West Pier. Safety boats will be provided for the route. The winning boat will receive their prize at pontoon/slip at Royal St George Yacht Club. Retrieving of boats will be facilitated from the slip in the Coal Harbour, at the base of the west pier. We look forward to your participation. If you have any enquiries, please contact Chris Doorly, doorlychris [at] gmail.com or on the day.